The long-awaited, but seemingly sudden return of volatility dampened returns available to investors during the first quarter of 2018, with gains hard to come by for open-ended fund-heavy portfolios. Only three Investment Association sectors produced gains during the three-month period, and those were minimal. UK Gilts, Short Term Money Market and Money Market funds returned 0.12%, 0.05% and 0.04% on average in Q1. They were followed by Japanese Smaller Companies, which lost 0.21%. At the other end of the spectrum, losses were fairly sizeable, considering the current bull run in equity markets. And it was two equity income sectors that struggled the most, with Global Equity Income down 6.36%, and UK Equity Income down 6.1%. Ben Yearsley, director at Shore Financial Planning, said this proves having a broad spread of investments is better for your wealth than concentrating on one or two narrow sectors. “Many UK investors concentrate on UK Equity Income as a core holding, but they will be counting their losses today after a torrid three months,” he says. As we did with investment trusts earlier in the week, we run down the five best and worst performers that Morningstar analysts rate highly. Only two of the top performers were equity vehicles. 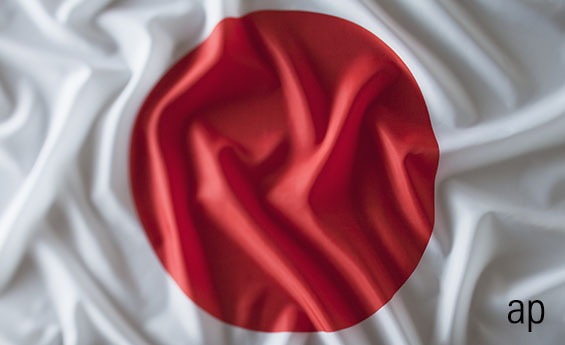 The Silver Rated Lindsell Train Japanese Equity Fund, managed by Michael Lindsell, produced returns of 5.91%, with the Bronze Rated SLI Global Smaller Companies Fund, up 1.81%, in fourth place. The Linsdell Train offering is run in the firm’s typical way, in the belief that high-quality, cash-generative, strong and easily understood business franchises will outperform the market and reduce long-term volatility. It leads to a high-conviction portfolio, of 21 companies at present, headlined by video games maker Nintendo (7974), cosmetics maker Kao Corp (4452) and pharmaceuticals firm Astellas Pharma (4503). Meanwhile, in most geographies, smaller companies generally outperformed their larger counterparts over the course of 2017. As a result, it’s not surprising to see a small company fund with a global mandate near the head of the table so far this year. Managed by Alan Roswell, the £845 million vehicle is run in a similar vein to Standard Life’s small-cap guru Harry Nimmo’s UK-focused portfolios. SLI’s Focus on Growth matrix ranks stocks on growth, momentum, quality and valuation factors. The second-best performer returning just over 4% was the Bronze Rated GAM Multibond Local Emerging Market Bond Fund, run by Paul McNamara. Sandwiching the SLI fund were two Bronze rated targeted absolute return funds, JPM Global Macro Opportunities, up 2.14%, and BNY Mellon Absolute Return Equity, 1.43%. Morningstar analyst Randall Goldsmith says the former’s cash plus 7% target is more aggressive than competitors, but one that’s been hit over the current managers’ tenure. The latter, meanwhile, provides solid downside protection, according to Fatima Khizou, making it a “worthy option in the space”. Some meaty losses were suffered by investors in the three specialist funds that ended up dead last in Q1. Two funds invested in India found themselves the worst and third-worst performers, with Jupiter India and Franklin India losing 15.06% and 10.87%. This follows the worst performing closed-end fund being JPMorgan Indian (JII). The MSCI India index itself lost almost 7% in US dollar terms. The two open-ended funds have just one top 10 holding in common, State Bank of India, with the Jupiter offering more focused on the large and mid-cap space, as opposed to Franklin’s higher exposure to blue chips. Still, both management team are experienced enough to ride out periods of poor performance, according to Morningstar analysts. The Gold Rated BlackRock Gold and General continues to struggle in the short term. The fund lost 14.55% in the first three months of 2018 and has underperformed its Morningstar category over one and three years. That said, its longer-term results are much better. And manager Evy Hambro is a highly seasoned investor, backed by a talented team, according to Khizou, who still has confidence in the fund. Despite being housed in the Mixed Investment 40-85% Shares sector, Bronze rated Jupiter Distribution and Growth suffered due to its UK equity income-like holdings. Its 46-strong equity portfolio includes the likes of BP (BP. ), HSBC (HSBA), Shell (RDSB) and British American Tobacco (BATS). As we’ve seen, funds that hold these types of stock have had poor 2018 thus far, though analyst Randall Goldsmith likes the managers’ underlying approach to investing. It also has fixed-income exposure, which differentiates it from straight UK equity income funds. Finally, the LF Woodford Equity Income’s 10.16% loss in Q1 puts it in fourth place in our table. Manager Neil Woodford has been hit in recent years by holdings in Provident Financial (PFG), AA (AA. ), Capita (CPI) and Allied Minds (ALM) to name a few that have gone wrong. A further blow was dealt by his relegation from the UK Equity Income sector, though that won’t alter his process. However, he has impressive long-term results, from his days with Invesco Perpetual, and Morningstar analyst Peter Brunt still believes the fund should be a core holding for investors.